Although not always cancer causing, foods can influence the risk for a variety of cancers. Carcinogenic foods is a growing field of exploration, and in recent years, there has been a growing list of potentially cancer-causing foods. You should avoid eating them when you can in order to give yourself the best defense against a variety of cancers. The food you eat plays a major role in your overall health. It can help prevent illness and disease. At the same time, it can be a factor in your risk for a number of conditions. Food, of course, is not the only factor in cancer risk, and people will not always develop cancer if they eat cancer-causing foods—nor will they necessarily avoid it by filling their diet with foods that (may) prevent cancer. At the end of the day, dietary decisions are all about reducing the threat of illness and encouraging good health. Exposure to ultraviolet light, radon gas, asbestos, etc. Carcinogens are chemical compounds and other agents that can lead to the formation of cancer. They are found in plastics, foods, and other commonly consumed materials, yet do not always guarantee cancerous genetic mutations. Certain carcinogens, for example, do not directly lead to DNA damage; however, they can lead to more rapid cell division that increases the chances of mutation. Substances like cancer-causing foods usually contain some form of carcinogenic property. And again, that doesn’t always mean that eating it will lead to cancer. Generally speaking, carcinogenic foods become more dangerous based on how much of them you eat, how often you eat them, and your genetics. Processed meats, for example, are cancer-causing foods you should avoid. But if you eat bacon once a month or have a smoked-meat sandwich at your favorite deli a few times per year, it’s highly unlikely that the carcinogenic properties will lead to cell damage. But if you eat them daily as part of a high-carcinogen diet, the cancer risk goes up dramatically. The food you choose to eat every day can play a massive role in your overall health and cancer risk. Selecting foods that prevent cancer is not only going to lower your risk, but it will also reduce the risk of a host of other health conditions like heart disease, high blood pressure, and diabetes. I’d like to be clear, however, that when it comes to cancer there are no guarantees. These suggestions simply assess the risks of certain foods. Meats—and red meat in particular—get a lot of heat when it comes to overall health and cancer risk. But it appears that when it comes to cancer, meats (including red) are not necessarily carcinogenic. The cancer risk in meat comes down to how it’s packaged and prepared. Red meat on its own—items like beef, veal, pork, lamb, mutton, bison, goat, etc.—does not have a lot of supporting evidence to show it has an affect on cancer. But this is true only if it’s cooked fresh from raw, unprocessed, and potentially cooked in certain methods. Clearly, meat must be adequately cooked to kill germs. But there is some evidence suggesting that just how meat is cooked can play a role in its carcinogenic properties. There is some research showing that frying, broiling, or grilling meats at extremely high temperatures can cause chemicals called “polycyclic aromatic hydrocarbons” or “heterocyclic aromatic amines” that might damage DNA and increase cancer risk. This doesn’t necessarily mean you need to avoid eating meat prepared this way; it just means that you should watch for burn marks and consider cooking at a lower temperature. Cooking techniques like braising, steaming, poaching, and microwaving have been found to produce fewer of these chemicals. I’m not sure I’d go as far as saying grilling meat causes cancer, but it may increase carcinogenic properties. It ultimately comes down to dosage and frequency. Most processed meats feature sodium nitrates for preservation them. This additive is closely associated with colorectal, bowel, and stomach cancer. In fact, sodium nitrate is the only food additive that is shown to increase cancer risk. Processed meats also lead to inflammation, which can damage cells. At the end of the day, there are carcinogenic foods you should avoid. 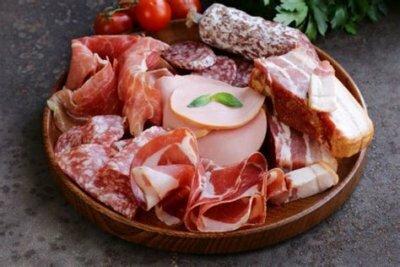 If you’re concerned about meat intake, focus on cutting processed meats. They are among the most dangerous foods for cancer risk and overall health. In fact, I’d say processed meats cause cancer if regularly consumed and are number one on the carcinogenic foods list. To minimize the risk of cancer from alcohol, it’s advised to stick to moderate portions at most, which is generally regarded as two drinks a day for men and one for women. A drink is defined as one 12-ounce beer, a five-ounce glass of wine, or one and a half ounces of hard liquor. It should be noted that even sticking to these guidelines may boost cancer risk; research has found that regular intake of even a few drinks per week can boost breast cancer risk in women. In regular or large does, it seems that alcohol causes cancer. Certain fried and baked foods may increase the risk for cancer, and WHO does feature them as a major concern. Although not all fried and baked foods fall into this category, two American staples do: French fries and potatoes. These may be carcinogenic foods because they can feature trace amounts of a chemical called acrylamide. Acrylamide is found in packages for food, dyes, and other plastics, and is prevalent in certain foods when hearted to at least 248° Fahrenheit. Potato chips and French fries have higher levels. This is likely because of an amino acid found in potatoes that turns into acrylamide when heated at a high heat, like being deep fried or baked for an extended period. Once again, it is only likely carcinogenic if consumed regularly at high levels. Although it’s unproven that sugar causes cancer per se, it may have indirect influences on cancer risk. A high-sugar diet is known to increase inflammation, which can damage cells and expose them to danger. Furthermore, it is a non-nutritive source of calories that can lead to nutrient deficiencies that limit immune response and protect your cells from free radicals and other dangers. High sugar intake also promotes obesity, a condition closely associated with certain cancers, like gallbladder, liver, breast, endometrial, ovarian, colon, kidney, and prostate. The type and amount of fat in your diet may influence cancer risk; however, studies present mixed findings. One thing is for sure: not all fats are created equal and the health benefits of monounsaturated fats like olive oil, omega-3 fatty acids like those found in salmon, tuna and other fatty fish, and certain polyunsaturated fats are good for you. The cancer questions largely surround saturated fats—those found in animal products, coconut and palm oils, and trans fats, which are man-made. Saturated and trans fats both have links to heart disease risk and cholesterol levels, and have associations with colon cancer risk. That said, there is no consensus these fats are independent causes of cancer. Table salt, salt used in cooking and as seasoning is non-carcinogenic. Foods that use it as a preservative, however, if consumed in high amounts, do show associations with gastric cancer. Regular consumption of pickled and salt-preserved foods may expose the cells in your stomach to danger by stripping away the lining. Furthermore, foods prepared in this way typically feature sodium nitrates, which are believed to be carcinogenic. Therefore, if your diet is high in processed food and meats, salt intake could increase your cancer risk. If you add it in recipes or as seasoning at the table, you likely have nothing to worry about. Whether or not salt causes cancer really seems to boil down to how (and how often) it’s consumed. Fruits and vegetables are packed with nutrients that promote healthy cell growth life. The vitamins, minerals, and antioxidants found in a variety of fruits and vegetables can greatly reduce the risk of cancer. Getting four to eight servings per day is highly recommended, with leafy greens, berries, apples, broccoli, and more serving as perhaps the best-anti cancer foods there are. Research indicates that foods high in calcium can reduce the risk of colorectal cancer; however, getting too much calcium is associated with a higher risk of prostate cancer. Stick to natural food source to hit the recommended daily amount (RDA), using supplements only if instructed by your doctor. The best sources are dairy, broccoli, and leafy greens like spinach, kale and collard greens. Eating traditional soy-based foods like tofu may lower the risk of breast, prostate and endometrium cancer. Although nothing is guaranteed, there are steps you can take to reduce the risk of cancer by limiting carcinogenic foods. This is the first place to start if you want to cut down your cancer risk, because these foods are the biggest threat. Stick to eating fresh meat, and preferably leaner cuts that are low in saturated fat. Typically, these are cuts like chicken breast, turkey breast, red meat cuts with the words “round” or “loin” that have little marbling, and game meats. All the fruit, vegetables, fresh meats, dairy, and whole grains usually appear along the perimeter of the grocery store. Basically, it’s the real food that’s packed full of cancer-fighting nutrition. The aisles, on the other hand, are where you most often find the calories and carcinogens. There are a couple of caveats here. Bacon and other deli meats may be along the perimeter and should be avoided. But frozen fruits and veggies, which are just as good for you as fresh, may be in the aisles. Booze is right near the top when it comes to cancer risk, so paying attention to how much you drink can mitigate risk. Stick to one to two drinks on the occasions that call for alcohol while trying to limit the days you drink to special occasions. There is a lot of information out there that can pull you in a million different directions, especially when it comes to food. Carcinogenic foods and foods that cause cancer do exist, but they are not waiting for you behind every corner. The same foods that contribute to heart disease, obesity and other chronic conditions also pose the greatest cancer risk. So be smart—eat more fruits, veggies, and legumes; avoid processed and packaged goods; and cut your alcohol consumption. And if you have time for some exercise, do that, too! Lifestyle is the only thing you can control when it comes to cancer risk, so make the best decisions to minimize it. Abnet, C., “Carcinogenic Food Contaminants,” Cancer Investigation, 2007; 25(3):189-196. DOI:10.1080/07357900701208733; last accessed November 3, 2017. “Known and Probably Human Carcinogens,” American Cancer Society, 2017; https://www.cancer.org/cancer/cancer-causes/general-info/known-and-probable-human-carcinogens.html, last accessed November 3, 2017. “Acrylamide in Food and Cancer Risk,” National Cancer Institute, 2017; https://www.cancer.gov/about-cancer/causes-prevention/risk/diet/acrylamide-fact-sheet, last accessed November 3, 2017.
, D., et al., “Dietary fibre, whole grains, and risk of colorectal cancer: systematic review and dose-response meta-analysis of prospective studies,” BMJ, Nov. 2011 ;343:d6617. DOI: 10.1136/bmj.d6617; https://www.ncbi.nlm.nih.gov/pubmed/22074852, last accessed November 3, 2017. “Q&A on the carcinogenicity of the consumption of red meat and processed meat,” WHO, October 2015; http://www.who.int/features/qa/cancer-red-meat/en/, last accessed November 3, 2017. “Common questions about diet and cancer,”American Cancer Society, 2017; https://www.cancer.org/healthy/eat-healthy-get-active/acs-guidelines-nutrition-physical-activity-cancer-prevention/common-questions.html, last accessed November 3, 2017. “How Might Obesity Increase the Risk of Cancer?” National Cancer Institute, 2017; https://www.cancer.gov/about-cancer/causes-prevention/risk/obesity/obesity-fact-sheet#q4; last accessed November 3, 2017. “Diet and Physical Activity: What’s the Cancer Connection?” American Cancer Society, 2017; https://www.cancer.org/cancer/cancer-causes/diet-physical-activity/diet-and-physical-activity.html, last accessed November 3, 2017.